DON’T MISS OUT! – SAVINGS UP TO 25% - AVAILABLE ONLY ON OUR WEBSITE. The island of Key West packs a lot of punch in its relatively small surface area. To keep tabs on Duval Street nightlife, seasonal seafood, event guides, watersport adventures and more, bookmark the 24 North Hotel Blog. Interested in some live entertainment during your visit to Key West? Aside from live music found in restaurants and bars (as well as frequent drag shows), there’s also an eclectic mix of outdoor concerts and stand-up to check out across the island. Here’s a look at concerts and shows coming to the Conch Republic later this summer and fall, set for the Key West Theater, Truman Waterfront Park Amphitheatre, and the Sunset Green Event Lawn at 24 North Hotel. Enjoy a night of cha-cha, mambo and Buena Vista Social Club favorites, featuring Fernando Vargas, Rolando Rojas and Catalina London. Alively night of music backed by a fully band is planned for the Key West Theater – just 90 miles from Havana! Show at 8 pm. Tickets here. Grammy-award winning singer, songwriter, actor and ’80s power pop sensation Rick Springfield will perform songs from his blues album released earlier this year, The Snake King. The outdoor concert will be held at the Sunset Green Event Lawn at 24 North; guests are invited to bring chairs and blankets to set up. Doors at 6:30, show starts at 8 pm. Get your tickets here. The iconic stand-up is in Key West for two shows on Sept. 30 at the Key West Theater – the perfect venue for Anderson’s thoughtful delivery. Most recently, the comedy veteran won his third Emmy for playing Zach Galifianakis’ mother on Baskets. 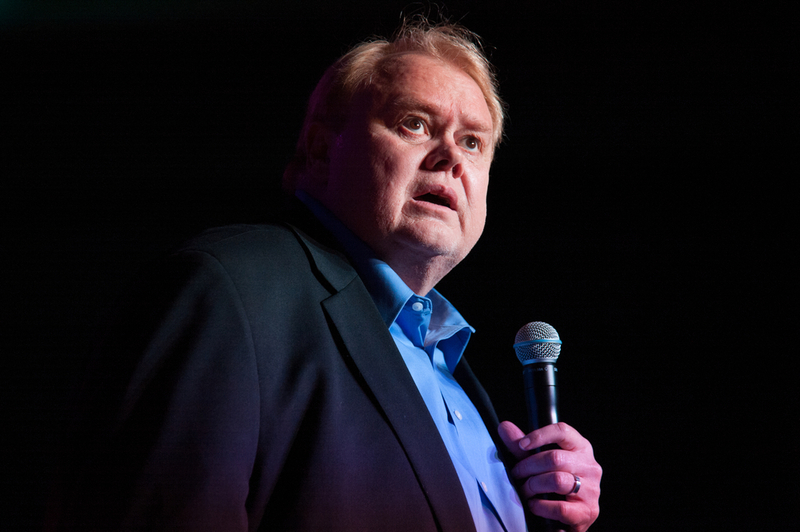 With more than 30 years in the business, Louie continues to delight audiences. Showtimes are 6:30 and 9 pm. Tickets here. Texan country musician and four-time Grammy winner Lyle Lovett will take the stage with fellow longtime-Texan folk singer and songwriter Robert Earl Keen, who has worked alongside Dave Matthews, Sheryl Crow and Bonnie Raitt, to name a few. The show will be held at the Sunset Green Event Lawn at 24 North; Show starts at 8 pm. Get your tickets here. The Avett Brothers brought folk rock to the mainstream in 2009 and have enjoyed musical success and a large fanbase ever since. It’s no wonder they’re set for two shows at the Truman Waterfront Park Amphitheatre! The Friday show (Nov. 16) begins at 6:30 pm and the Saturday show at 7:30 pm. The November weather is expected to provide ideal conditions for the outdoor show. Make sure to purchase tickets ahead of time! Tickets here. Planning to see a show at the Sunset Green Event Lawn? Check out deals at 24 North Hotel and the venue is just steps away from your stay.